The Flu Shot Is Not Just For You! Parkes Pharmacy will once again be administering the flu vaccination this year via our trusted and accredited pharmacists. These will be conducted in a safe and professional environment in our EasyClinic consultation room. And get this – you don’t need a script! Why should you get a flu shot? The flu causes about 3,500 deaths and 18,000 hospitalisations yearly in Australia. It is responsible for around 10% of workplace sick days taken. The more people who get the flu shot, the less it can be spread through our community. The single most effective way to prevent the flu is to get vaccinated between March and May. Who’s eligible? Anyone above the age of 18 years. If you are over the age of 65 years, or pregnant, you are eligible to receive a free flu vaccination but you must see your GP to get it. So how does it work? All you have to do is call to make an appointment or come into store at a time most convenient to you. There is a consent form to fill out and a short waiting time, and once you’ve been jabbed, it is recommended that you stay in store and browse for 10 minutes in case of an allergic reaction. So, don’t delay! The waiting list has begun and the vaccinations will arrive at Parkes Pharmacy very soon. Updates will be loaded via our Facebook page. See you soon for your flu shot! Over 3,300 men die each year from prostate cancer in Australia – why? Despite the signs and warnings, it seems like men do not want to know. Whether it is the embarrassment of the physical examination or the fear of the unknown, but they leave it until it is too late. years ago to be a support to those going through the journey and to make men aware of the possibilities. Prostate Nurse) and Louise Linke (Continence Nurse Practitioner). State Group Leaders and members of the Foundation of Australia will also be in attendance. 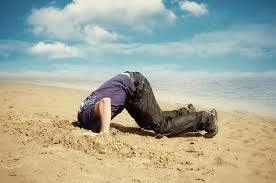 Men, do not leave your head in the sand! This is a wonderful opportunity to come and listen to advice from men who are considered the best in their field. Decorating and styling to the untrained eye may seem a skill that is weaved with mystery and wonder. For those of us in the know the reason we succeed in styling endeavours is because we know and implement key styling rules, or the do’s and don’ts. • Have an overall plan and vision of what you would like to achieve. • Adopt a colour palette that is neutral and can be adapted to different styles over time. Add colour with soft furnishings and accessories. • Select furniture that is in scale with the room’s dimensions to ensure the final result will be in perfect proportion. • Define zones in open plan areas with rugs and always use cushions to seamlessly bring a room’s colour palette together. Also combine different textures and fabrics to create interest, and more warmth and atmosphere. • Don’t be overwhelmed. If you don’t want to tackle a project alone make sure to get help. I enjoy helping clients achieve a result they will love to live in. • Don’t try to incorporate too many different ideas or styles into one design. • Don’t settle for second best. Choose pieces of furniture that you love and will stand the test of time. I hope you feel empowered and filled with knowledge to inspire you into action to turn your home into an amazing work of art or at least a home that you are content to claim as your own. Mouthguards are an essential item for people playing sport and can save your teeth from damage. Professionally fitted mouthguards are prepared in a dental laboratory from impressions made by your dentist. Almost half of all sporting injuries are dental-related. The injuries, sustained by collisions, include chipped or broken teeth, teeth concussion, avulsion (separation by pulling or tearing) and subluxation (fracture or partial dislocation). Custom-made mouthguards are more expensive, but conform exactly to your teeth structure and offer the best protection. Mouth-formed mouthguards, also known as “boil and bite” mouth guards, are immersed into boiling water and placed in the athlete’s mouth to shape it around the contours of the teeth. Ready-made mouthguards are an overthe-counter (OTC) product and the least expensive option, but also the least comfortable and effective. Benefits of a custom-made mouthguard: Dental injuries caused by collisions often require significant repair that can potentially incur hefty financial and emotional costs. protection and cushioning against sudden impacts and collisions, but they also allow you to speak and breathe clearly during games. They are moulded after a dentist has evaluated and precisely measured your teeth structure. The mouthguard does not sacrifice oxygen intake, which is critical for comfort and proper breathing. The wearer is also able to speak clearly without any discomfort. The other options do not conform as well to the teeth and mucosa, resulting in lack of adaptability. They are unable to absorb and distribute the impact of the trauma, which defeats the purpose of wearing them. Avoid dental sporting injuries by wearing a dental mouth guard. Call 6862 1261 to book an appointment today. Once the haze of all that Christmas and New Year wining and dining has cleared I thought that a project or two requiring a little bit of energy might just be useful in burning off those extra slices of glazed ham that we all enjoyed. These four easy ideas will make the start of 2018 be filled with promise and excitement ready for a fantastic year ahead. dedicated effort and successful attack on de-cluttering all the surfaces in one’s home. Always remember that one amazing piece that is large will give you a real WOW factor and make your home feel much more styled and contemporary. Take the time to really focus on the layout of your home and where key furniture items are positioned. Are they stopping a natural flow to the way you as a family move around the room? Could the removal of excess furniture make the space work better? Consider rearranging the furniture within your open living areas to make different zones with the space and give more definition to these separate areas. the personalities of the people who are lucky enough to live within your home. Think big and commission large canvases that may be either very simple and feature a block colour or go wild with patterns and abstract shapes to release the artist within. With the many festivities that occur during the month of December, and with the recent and upcoming hot weather, it is easy to let yourself dehydrate. So why is it so important to stay hydrated? go to the bathroom, sweat and even when you breathe. You will lose water even quicker when the weather is hot, when you’re physically active or if you have a fever. When you don’t replace the water you lose, you can become dehydrated. How do you know when you’re dehydrated? Your urine will be darker than usual and you may have little to none. Other symptoms are dry mouth, fatigue, extreme thirst, headaches, confusion, light-headedness, and no tears when crying. Keep a good eye on little people this summer season – it is easy for them to become dehydrated and they may not be able to tell you. How can you stay hydrated? Keep a bottle of water with you during the day. On average, most adults need to consume six to eight glasses of water daily. If you don’t like the taste of water, try adding some sliced lemon or using an electrolyte formula like Hydralyte or Gastrolyte. If you’re feeling hungry, drink water – your hunger may be confused with thirst. Try drinking on a schedule – when you wake, at breakfast, lunch, dinner and before you go to bed. Most important, when celebrating, drink water in between drinks and when you go home – this will help in the morning. Remember, stay hydrated this festive season! Merry Christmas from Parkes Pharmacy. Soft Versus Hard: Which Toothbrush Should You Choose? It might not be a question as old as time, but when it comes to whether or not patients should be using a toothbrush with hard or soft bristles, it’s certainly one we hear often. So, what’s the answer? Here’s how it breaks down! clean, and you could have quite an unhappy mouth. Simply put, choose a soft-bristled brush. If you have particularly sensitive teeth or are experiencing signs of enamel erosion or gum disease, an extra-soft toothbrush may be an even better option for your mouth. If it’s been a while since your last visit, schedule your next cleaning with us today. Have more questions about the best toothbrush for your teeth? Ask us at your next appointment. Parkes is set to benefit from the addition of a new health service. Parkes Pharmacy has started work on a new in-store treatment room. Doctor’s Choice Podiatry announced earlier this month they would be opening a podiatry clinic at Parkes Pharmacy commencing Wednesday, 8th November. Doctor’s Choice Podiatry have been operating at Flannery’s Pharmacy in Forbes over the past six months, which has proven extremely successful with most clinic days booked out well in advance. Operators Adam Debenham and Bill Devanney. Adam has ties to the area growing up in Forbes and attending Central West Christian Community School. Adam and Bill offer thorough foot assessments, both vascular and neurological, as well as general foot and nail care, paediatrics, orthotics, footwear advice, diabetic foot care, assistance with foot pain as well as all other areas of podiatry care. All bookings and enquiries can be made through Parkes Pharmacy. • Choose bacteria fighters. Crunchy vegetables like celery, apples or carrots require more chewing which produces increased saliva to attack bacteria in your child’s mouth. • Sneak in Vitamin C. Proper Vitamin C intake is important for a healthy immune system and our overall health, but it also plays a part in keeping gums healthy. Opt for an orange or red pepper. great for rinsing away debris as well as keeping your child hydrated, while milk is packed full of calcium which is essential for healthy bones. • Bonus tip: Cheese is another great way to get calcium into your child’s lunch – chop a block into cubes for fun, bitesized snacks. • Involve your child in packing their lunch so they can learn about the importance of making healthy choices. • If your child purchases their lunch at school, talk with them about making healthy choices for their teeth and overall wellness, and don’t forget to schedule their next appointment with Richardson Dental Surgery on 6862 1261. Parkes Pharmacy is going Pink for October! Each Wednesday during October, the lovely ladies of Parkes Pharmacy will be donning some quite eccentric outfits to help raise money and awareness for women’s cancers. So, let’s band together and help the Cancer Council provide vital support, research and prevention programs for breast and gynaecological cancer.